It is funny how time changes perception. Back in the summer of 1996, July 3rd to be exact, the world was partly destroyed by aliens, and mankind banded together, at least in America, to fight for the planet they loved. All the while millions of people sat with popcorn in hand watching the events unfold. 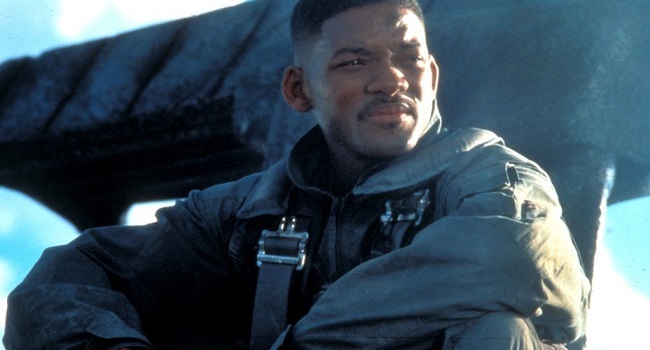 Make no mistake, Roland Emmerich’s film Independence Day was an event. A grand summer spectacle that pulled in over $306 million at the box office and had the world in awe of how the film managed to blow up The White House, and other iconic buildings, in such spectacular fashion. Fast-forward twenty years, weeks prior to the sequel, Independence Day: Resurgence, opening to a disappointing $41 million at the domestic box office, though it has since recouped its reported 165 million budget when factoring the overseas returns, talk turned to how bad the original film actually was. Judging by some of the revisionist press that Independence Day has received of late, one would think that the highest grossing film of 1996 was some sort of fluke. Granted it was not beloved by critics upon its initial release, it currently sits at a passable 61% fresh on Rotten Tomatoes, but the film connected with audiences in a way few blockbusters do nowadays. This was reinforced once again upon revisiting the film with my wife as part of our Fourth of July ritual. While some of the special effects surrounding the giant alien spaceships seem dated, the sense of fun and heart is still as infectious today as it was many years ago. Unlike many modern films that opt to throw audiences into the action from the opening frames, Independence Day takes its time to establish the key characters and their family/relationship dynamics. By the time Jeff Goldblum’s countdown clock hits zero, the audience is provided with enough information that we actually care about how the characters handle the situation they find themselves in. Furthermore, despite being somewhat of a throwback to classic science fiction tales, the film still carries that “did you see that” type of excitement. When looking at many of the summer blockbusters of 2016, the majority of which are sequel based, their marketing and overall execution seems to lack that “wow” factor. The little spark, that flicker of light that ignites the thoughts of possibly seeing something special or, as the young kids would say, cool. Audiences have been bombarded with so many sequels in recent years, that studios have even forgotten what made the original films such as hit. 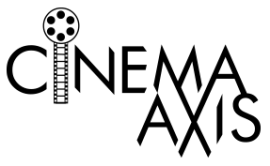 While Finding Dory and Jurassic World have raked in cash in their respective years, both films are not considered great by any means, at least in comparison to their predecessors, but they tap into a realm of fun, and the sense of taking the stories in a new direction, that countered the “more of the same feel” of their competitors in the market. Regardless of your feelings about Jurassic World, the marketing successfully had everyone curious to see what the Indominus Rex would look like. Observing the summer slate this year, there is little that evokes curiosity. We know what to expect from Marvel films and Captain America: Civil War delivered that in spades. Alice Through the Looking Glass, Neighbors 2, Teenage Mutant Ninja Turtles: Out of the Shadows, and even X-Men: Apocalypse all seem to offer audiences more of what they have already seen and, in some cases, never asked for in the first place. Outside of The Conjuring 2, whose marketing at least gave a sense that there might be new chills in store for fans, the only films to spark any real conversations so far are Suicide Squad and the new Ghostbusters. Though they have people talking for different reasons, there is still that excitement that comes with not quite knowing what those films will actually be at the end of the day. While we may not need any more images of The White House being destroyed, audiences still require that mixture of fun, heart, and either the “did you see that” or “wow, that is an interesting take” type of spectacle to get them eager to hand over their money. Independence Day captured this perfectly. These are the elements that also made films like The Avengers, Saving Private Ryan, The Dark Knight, Gladiator, Iron Man, and Inception big hits at the summer box office. Even a tiny film known as The Blair Witch Project was able to turn these ingredients into something fresh and lasting in the summer of 1999. It can be argued that studios are simply trying to ensure that their investments pay off by sticking with titles that have a proven track record. However, as we have seen this year, audiences are not going to eat leftovers if it is in the same packaging. Taste changes, and they want something that will set their taste buds on fire. They are not asking to reinvent the wheel, they simply want films that, similar to the original Independence Day, provide an enjoyable and innovative experience that will have them eager to spend their hot summer days in a cool theater with a bag of popcorn. I remember when that movie hit theaters. I had that ‘big summer blockbuster’ feel and I mean that in a very good way. People simply had a ton of fun watching it. It was wonderful escapist entertainment. It had the scope and the spectacle. It’s kind of a shame. Watching it now on blu-ray or television is still satisfying in a nostalgic sort of way, but it doesn’t capture that initial excitement when this crazy thing hit theaters back in 96. It still makes me excited, not as much as say Jurassic Park does, but I still get giddy nonetheless. I think many of the nostalgia based sequels these days are missing that pure escapist entertainment factor. 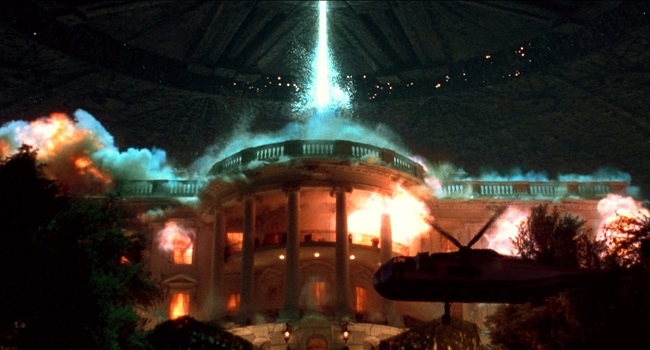 The original Independence Day is one of my favourite films, a good old fashioned Blockbuster invasion movie, and the effects are just as spectacular today as they where then. Thought the sequel was OK, but the original is by far the better movie! It is interesting looking back at the blockbusters of the 90’s in comparison to the ones of today. I still think films like Independence Day, Jurassic Park, and Terminator 2: Judgment Day play just as well, if not better in some cases, as some of the more modern ones. Oh, for sure, the blockbusters of the 90’s are some of the best films of all I think, especially Terminator 2. Back then, we’d never seen films with such effects before, they totally blew you away. More though, I think, they have a greater place in our memory and lives because they were pre social media. Now everything is hyped to the max on facebook twitter ect, that nothing is a surprise anymore. I don’t understand the hate on Independence Day. It is easy to look back and judge the movie by today’s standards but even compared to current summer blockbusters, it is what it needed to be – fun, exciting and popcorn-filler. Still one of my favourite films. I think we take for granted the need for fun popcorn films nowadays. Thanks to the impact of that The Dark Knight, it seems every blockbuster wants to be more serious than it should. Everyone forgets that The Dark Knight was successful because it effectively balanced the seriousness with the fun popcorn spectacle. Having just watched The Dark Knight it is easy to forget how much humour there is in that movie too.